The notification regarding the CLAT 2019 Important Dates will be announced by the conducting authority i.e. National Law University Odisha (NLUO), Cuttack on 1st January 2019. CLAT 2019 Rescheduled: To avoid clashing with the upcoming Lok Sabha Election 2019, CLAT 2019 exam has been rescheduled from 12th May 2019 to 26th May 2019. Rest of the details of the exam will remain same as mentioned in the official notification. The CLAT 2019 Important Dates which are mention below are tentative once the official website announces the dates will be updated here. Please tell me about the second allotment list also. The publication of the second allotment list which is after the payment of counselling fee is on 16th June, 2018 (Saturday). The publication of the second allotment list will be after the payment of counselling fee, i.e. on 16th June, 2018 (Saturday). When will the first indicative seat allocation list will be published?? What is the CLAT 2018 Result date? CLAT 2018 result will be announced on 31st May 2018. When will CLAT 2019 Application form release? When will CLAT 2019 Application form release? What will be the Application Procedure? 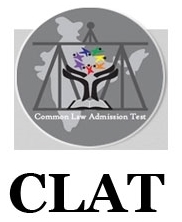 CLAT 2019 Application Form will release tentatively on 1st Jan 2019. To understand the application process, click here. When will the admissions begin? The admissions will begin in the fourth week of May 2017 and it will end in the first week of July 2017. When is the CLAT date for second allotment list? The CLAT date for second allotment list is 12th, June 2017.
Who is conducting CLAT 2017 exam and when is it being conducted? CLAT 2017 will be conducted by Chanakya National Law University(CNLU) Patna. It will be held on May 14th, 2017. When will answer keys be made available for CLAT 2017 EXAM questions? The answer keys will be made available for CLAT 2017 exam questions on 16th, MAY 2017.